I am writing this on the 26th of April 2018. Today I’ve been on the road for exactly 285 days. I’m sitting in a computer store & cyber cafe in downtown Lilongwe, the capital city of Malawi. As always, I’ve been cycling a lot recently. No detours around great lakes this time. The trajectory since the last update is a straight line from Nairobi, across Tanzania, and along Lake Malawi. It’s time for some rest before going to Zambia! Taking a break generally means eating and drinking things that are unavailable in rural areas, mostly coffee. Until yesterday afternoon I was cycling on sand roads that could easily feature in next year’s Paris-Roubaix, if they were located in Nord-Pas-de-Calais of course. 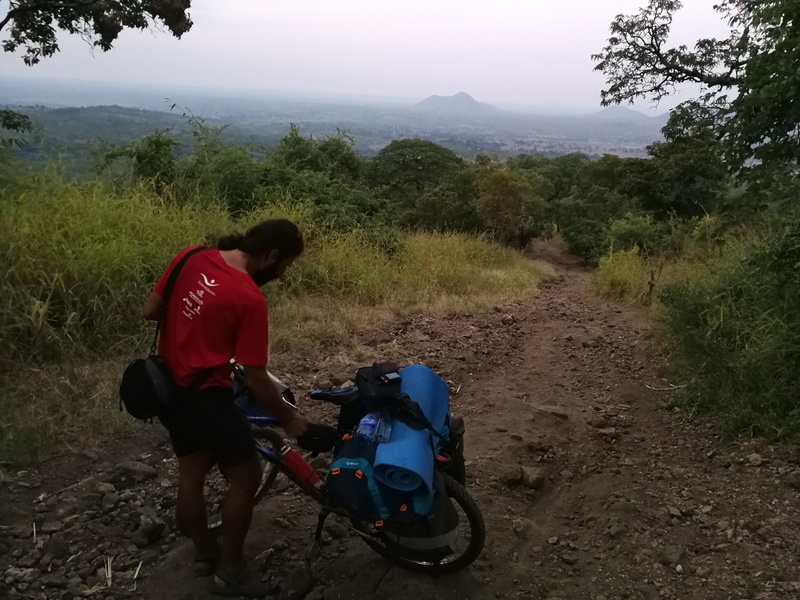 I have cycled a total of ±16000km to reach the capital of Malawi. However, I can no longer report the exact distance because my odometer has been stolen. I estimate that I have another ±5000km to go to Cape Town, taking into account the detours I will surely do. I could not be more excited for what lies ahead. 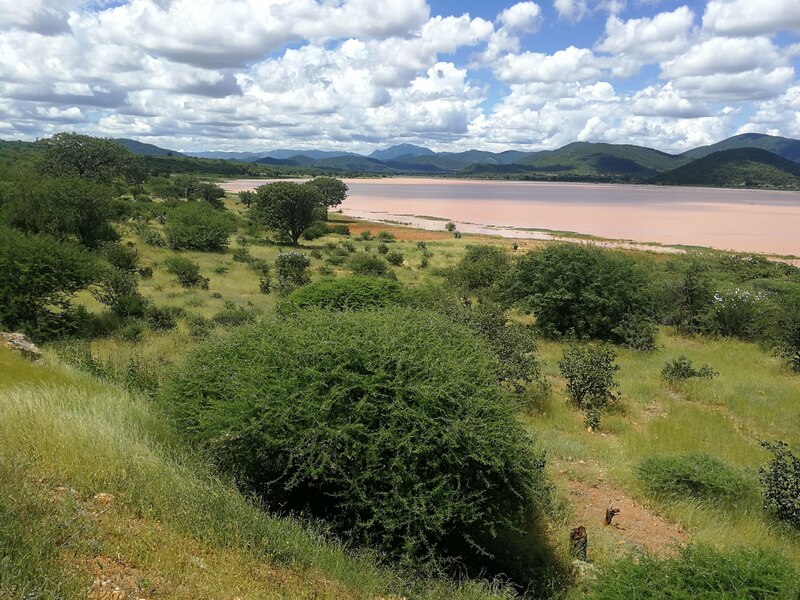 The Namibian desert has been on my mind for years, and I’m curious to see what Zambia has to offer cycling-wise. As for my mental health, I still get excited to kick one leg over the cross bar every morning. 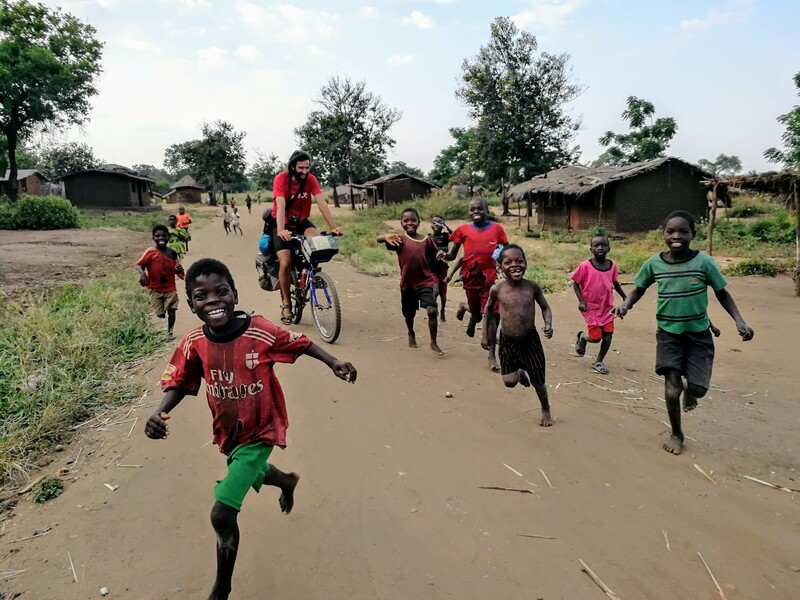 I love it, and I’ll never get enough of cycling or Africa. Lately I choose not to think about life after Cape Town too often. Jean-Luc Dehaene, a belgian statesman, famously said: “we lossen problemen op wanneer ze zich stellen”. Or freely translated to Swahili: “hakuna matata”. – I was pulled over by girls with AK-47’s. 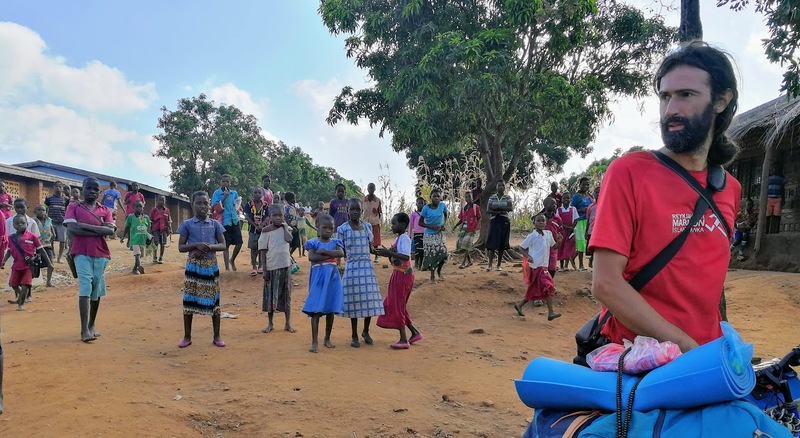 – I stayed with a group of Germans who live in tents near the border with Tanzania. 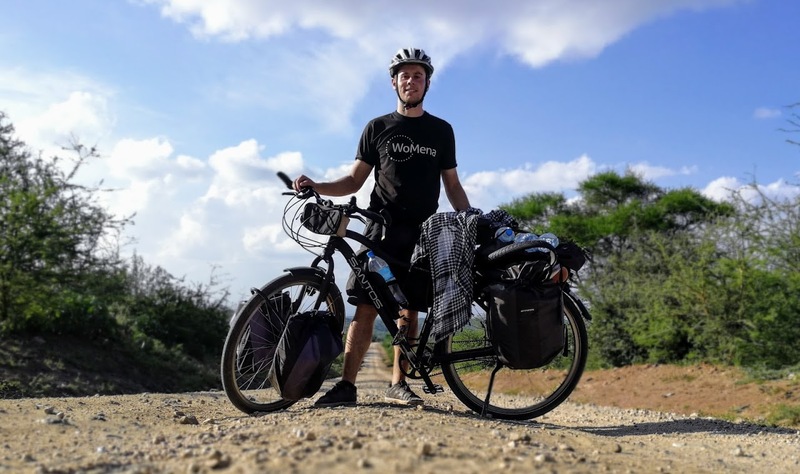 – I cycled along Mt Kilimanjaro, and tried to go as far up as possible. 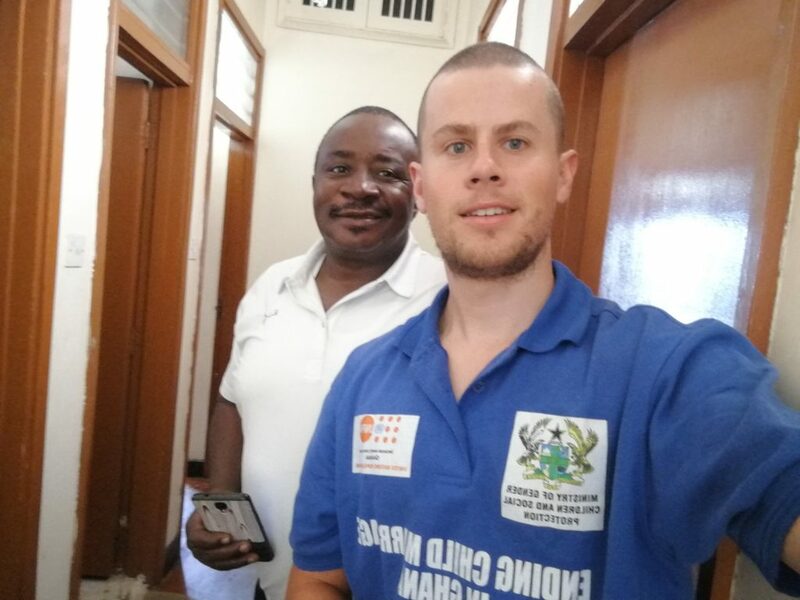 – I visited Femme International office in Moshi. 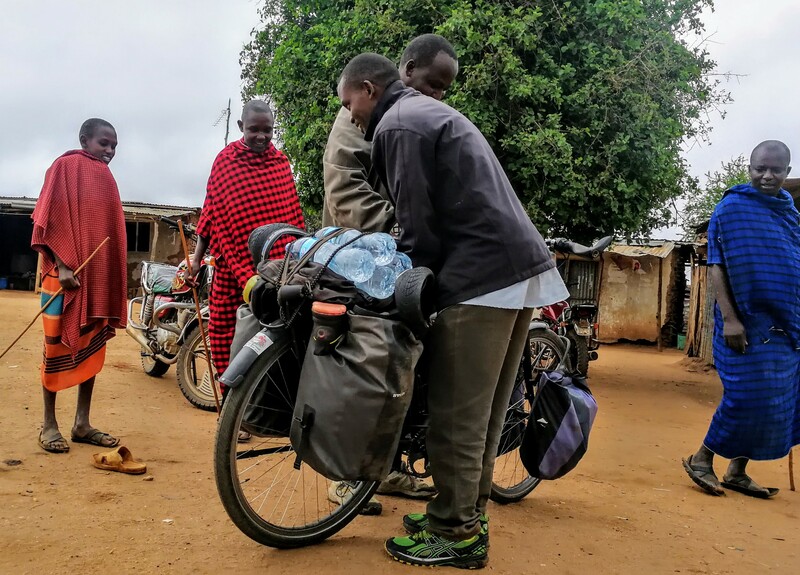 – I showed off my bicycle to Masai men. 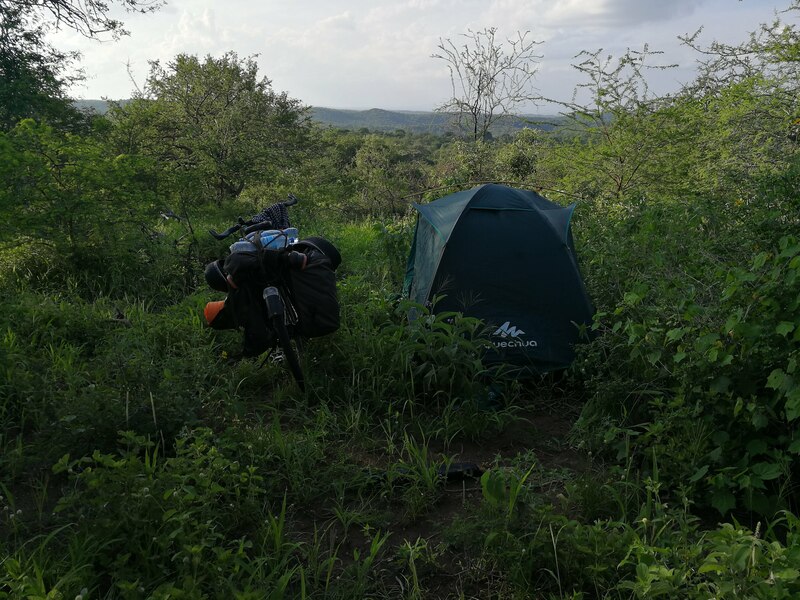 – I cycled & camped in Tarangire national park. 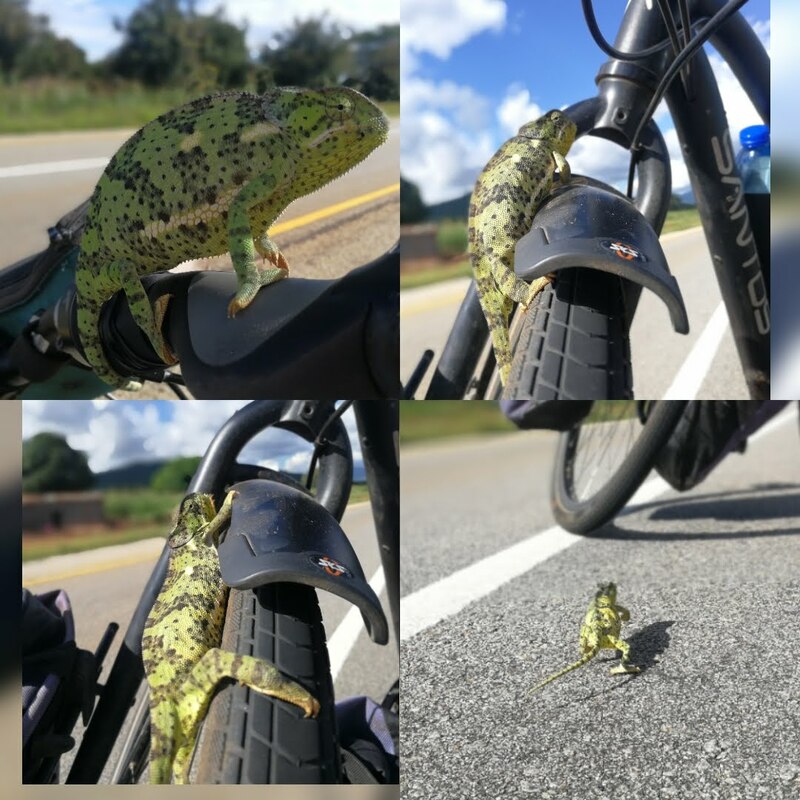 – I saw a lot of wildlife, and even had wildlife on my bicycle. – I discovered “chipsi mayai” – an omelette with chips. 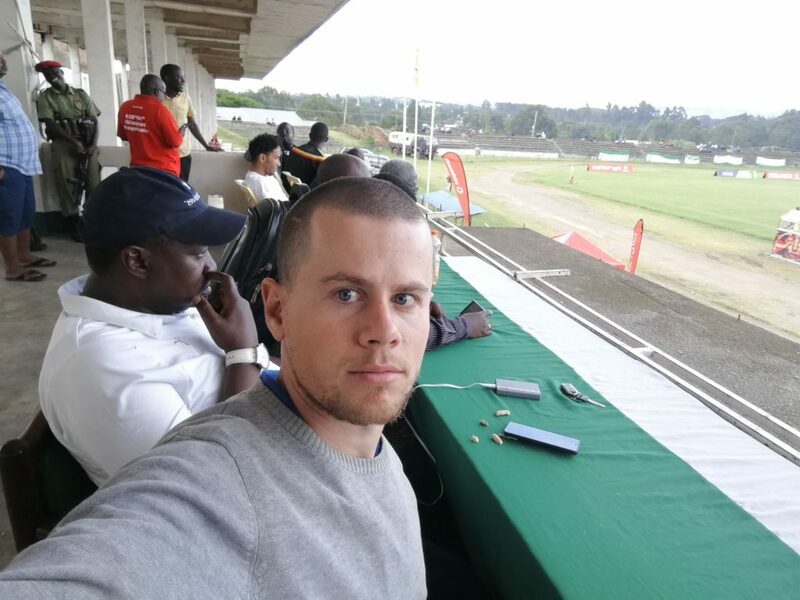 – I met Elias and sat at the honor table during a game of the Tanzanian premier league. 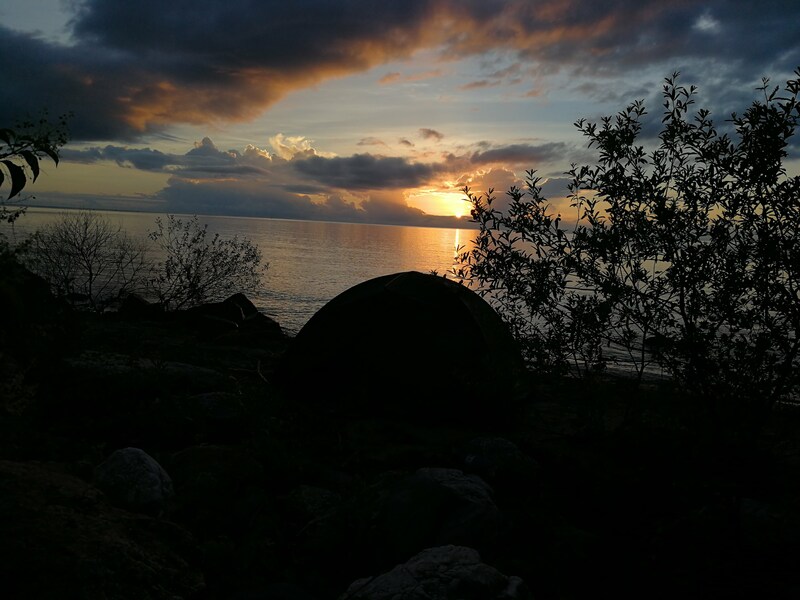 – camped wild in Malawi – lake side. 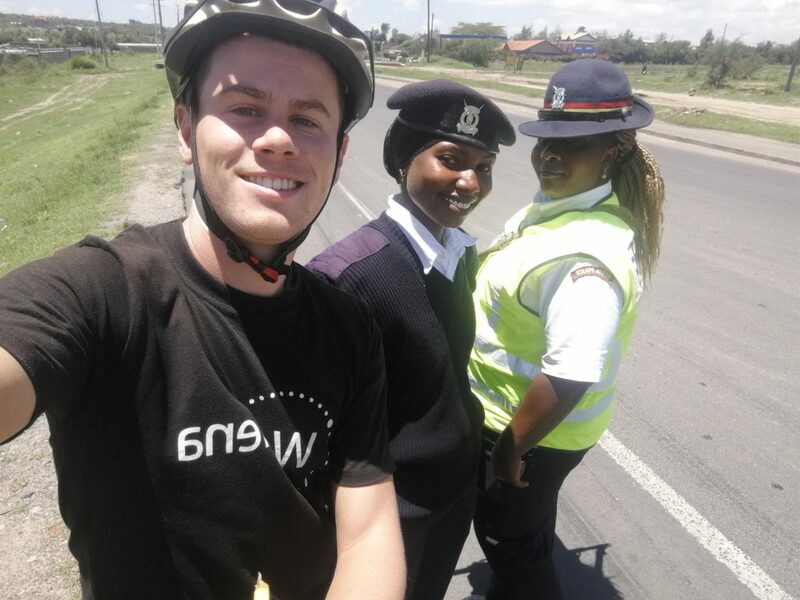 – I met Alessandro, also on his way to Cape Town. 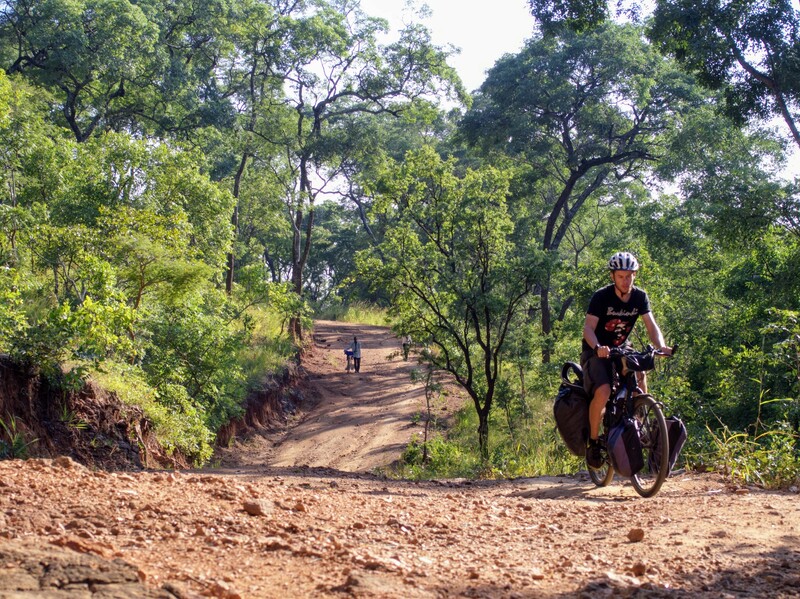 – We cycled in Dedza-Salima forest. On dirt roads filled with excited children. 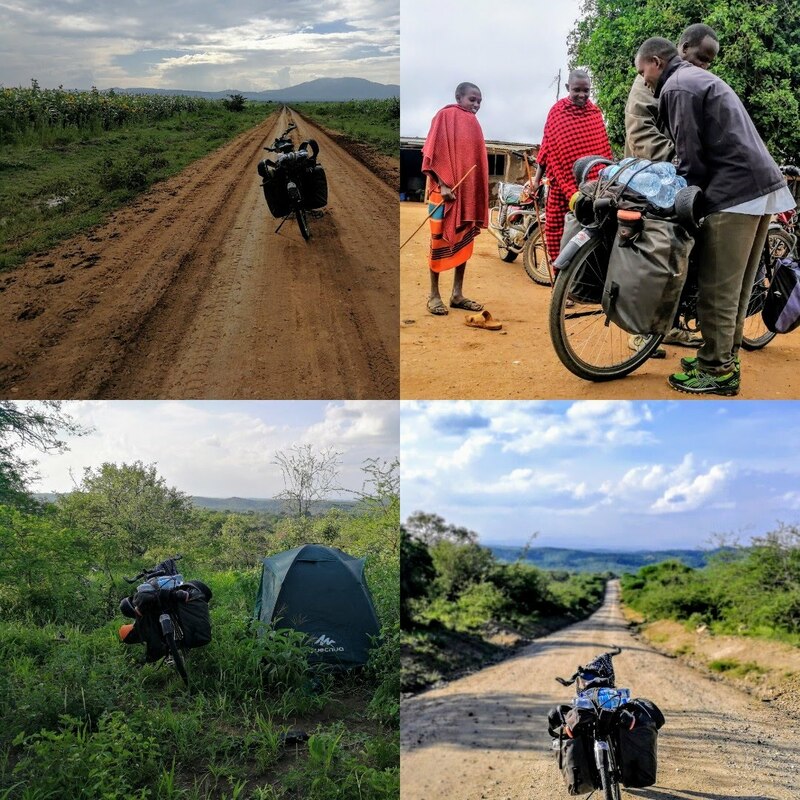 From Nairobi I cycled east to Mt Kilimanjaro. 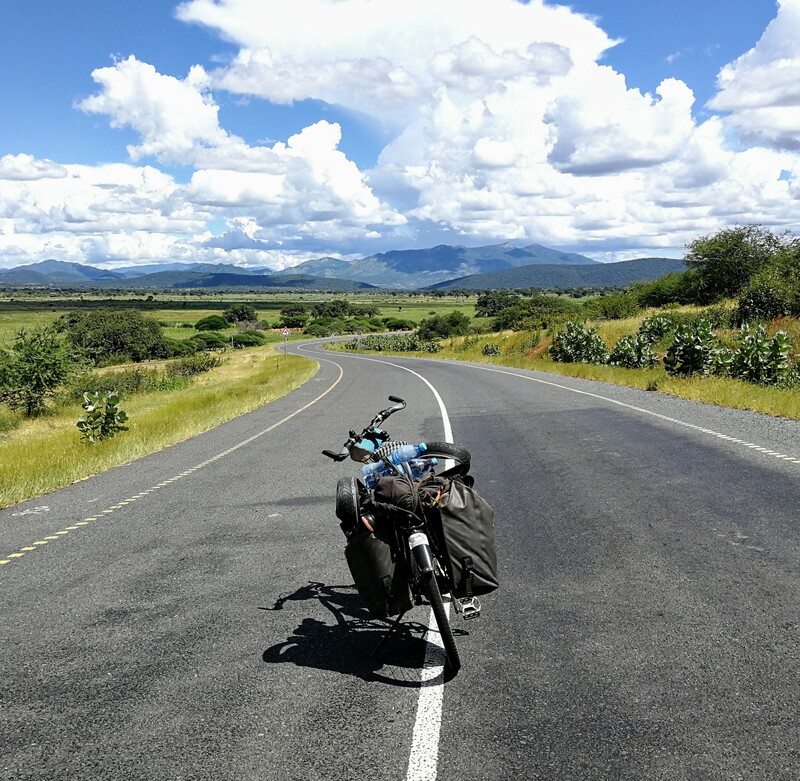 Prefect roads, lovely hills, and a rather uneventful 350km later I arrived at the border with Tanzania. Uneventful, except that I was pulled over a couple of times by the police. This is not new, the police set up road blocks on most African roads. Since Morocco I’m used to being stopped daily, generally without issues. Sometimes they fish for bribes (not pointing at any country in particular), sometimes they want to know what I’m up to, sometimes they just seem bored. My favorite stop was by these two ladies. 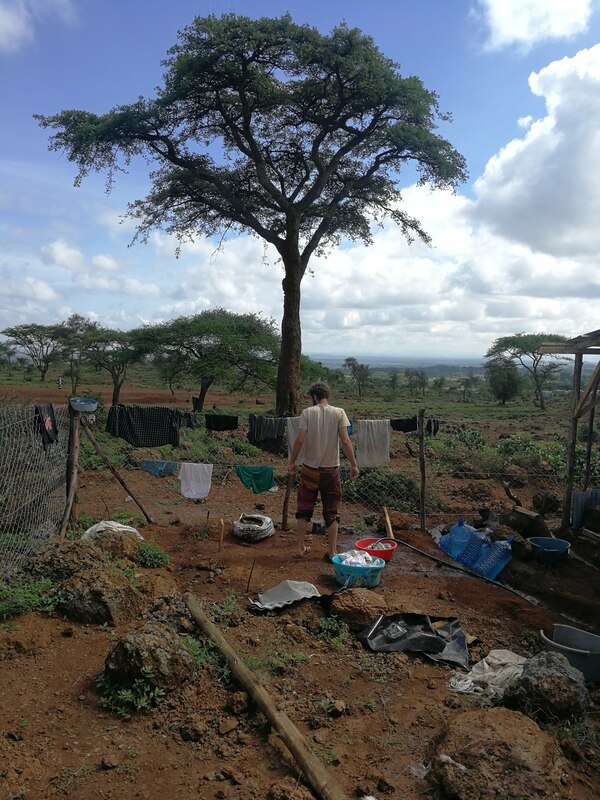 Just before the border with Tanzania I spent the night with a group of Germans who live in tents. They are involved in hydrosolution, a German NGO that provides sand-based water filters to schools. I liked the hippie-vibe that dominated this German enclave in the Tanzanian plains. I learned a lot about water that night. For example that water around Mt Kili is contaminated with E. coli bacteria from cow dung. I bragged about being able to drink tap-water and water from wells in my previous posts, but now I avoid wells with cattle around. Secondly, on a more positive note, the water around Mt Kili naturally contains fluoride. One of the effects is that people have very white teeth. The next day I entered Tanzania. 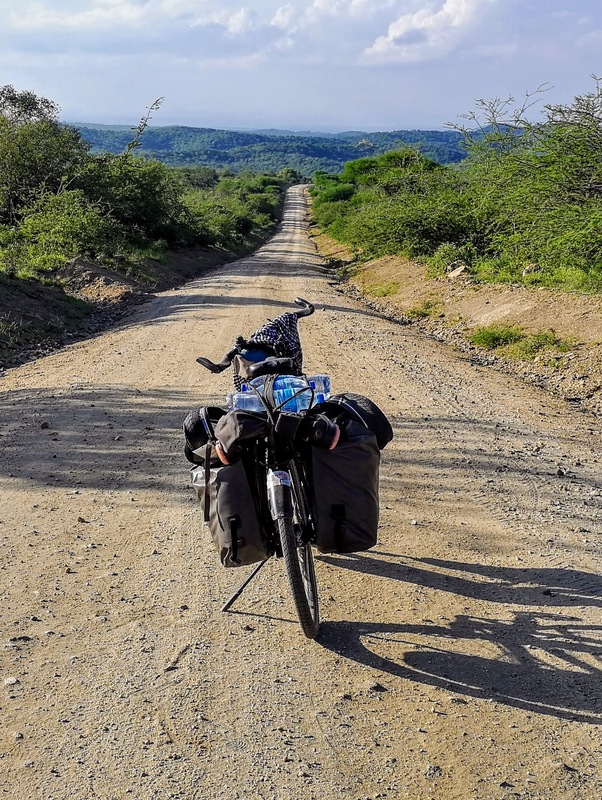 I was determined to cycle close to Mt Kilimanjaro, and cycle as high up as I could. It rained a lot that day and I had to drag my bicycle through mud for hours. Because of the rain I didn’t get a clear shot of Mt Kili, and I was stuck in the clouds when it was getting dark. I couldn’t go back down because it was too slippery, but luckily Vincent invited me to stay at his house for the night. The next day we had tea before I cycled back down. From there I cycled down to Moshi, a small city south of Mt Kilimanjaro. I visited Femme International’s office, the Canadian women’s health organization that I also visited in Nairobi, and rested for a couple of days. 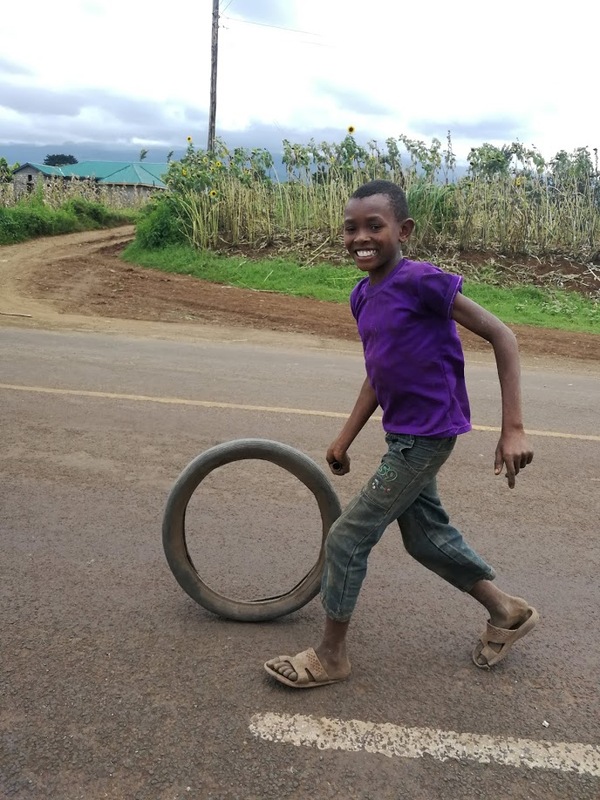 After enjoying some rest, and hanging out with my amazing hosts in Moshi, I hit the road again. 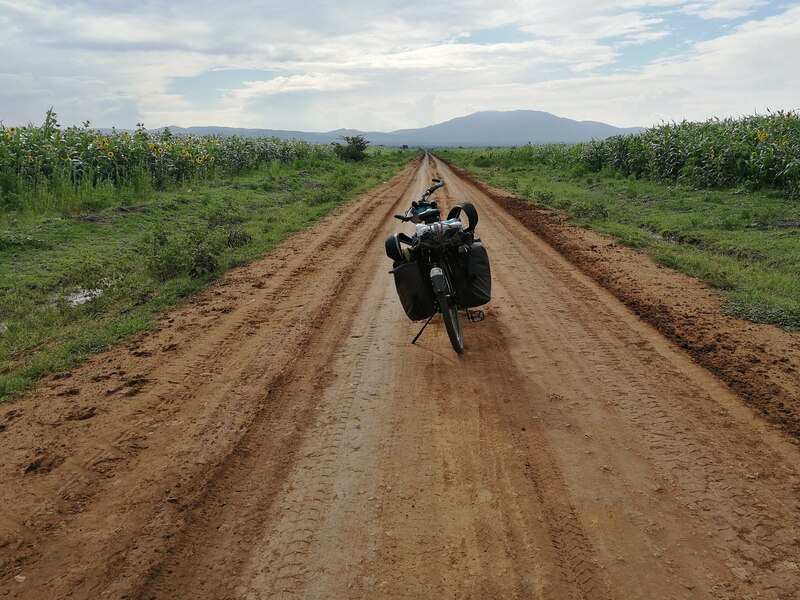 I cycled towards Tarangire national park, and pedaled on dirt roads for four days. Even before arriving in the park, there was a lot of wildlife to spot. I saw wildebeests, zebras, ostriches, giraffes. Most of these animals were to scared to be photographed though. 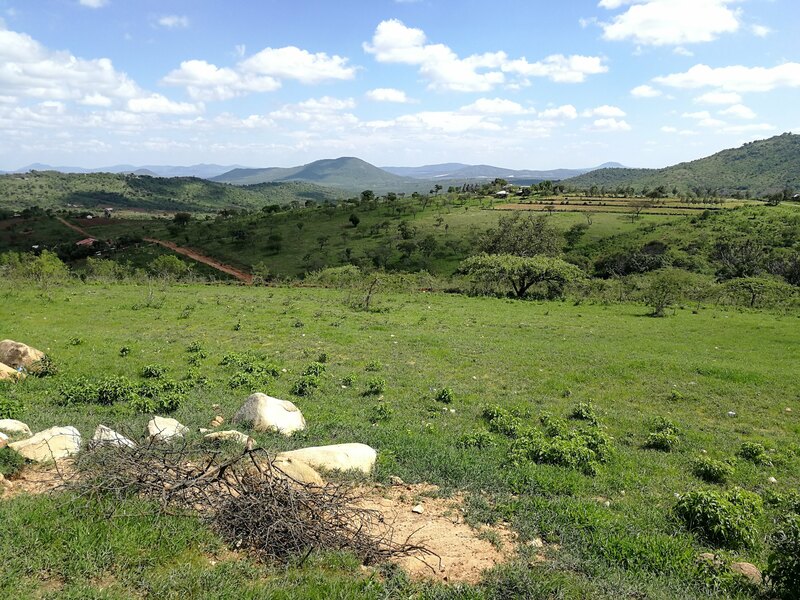 This area lies on a plateau, and the altitude hovers around 1000m in the plains, and up to 1600m on the surrounding hills. I enjoyed the short steep climbs in the sun, as well as the surprised looks on the faces of locals. After a night of wild camping two men on a motorcycle rushed towards me. I didn’t immediately get what they were trying to tell me, until one of them said “simba” and made a strangling sound. Another bike arrived, and the driver explained that a pride of lions had just killed a buffalo where I was going. Lions only kill buffaloes when they are hungry and desperate. I took a different path. 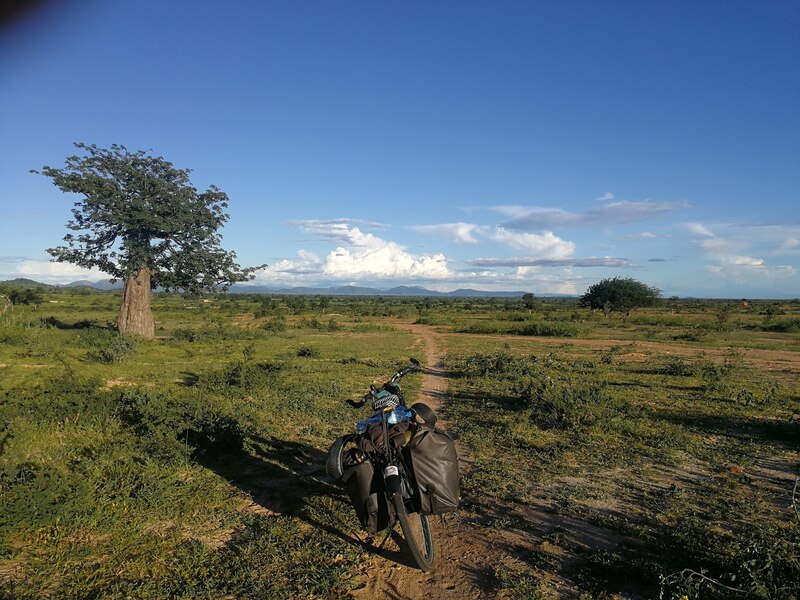 After those four days on sand roads, I arrived in Dodoma, and followed the main road south. 750km to the Malawian border laid ahead. This is one of the most scenic highways I have cycled on so far. Because it doesn’t connect any major cities it is relatively calm. 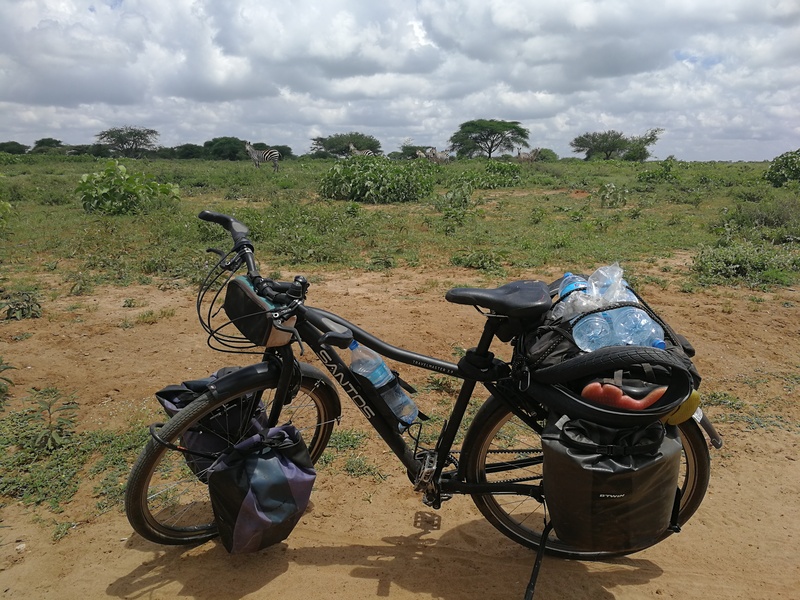 I cycled for days in the middle of the road, waving at children and enjoying the ever changing scenery of hills and african plains. Classic fun – this road goes up to 1800m. 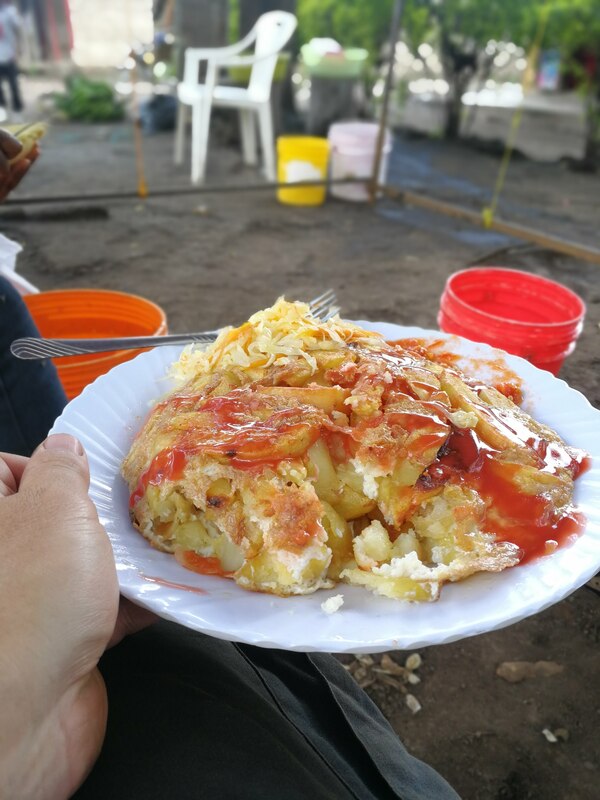 My favourite street food, available in every village, is a dish called “chipsi mayai” (chips with eggs in Swahili). Chips are rarely up to Belgian standards, but eggs and hot chili sauce turn it into a great meal, and there is no better fuel for cycling. 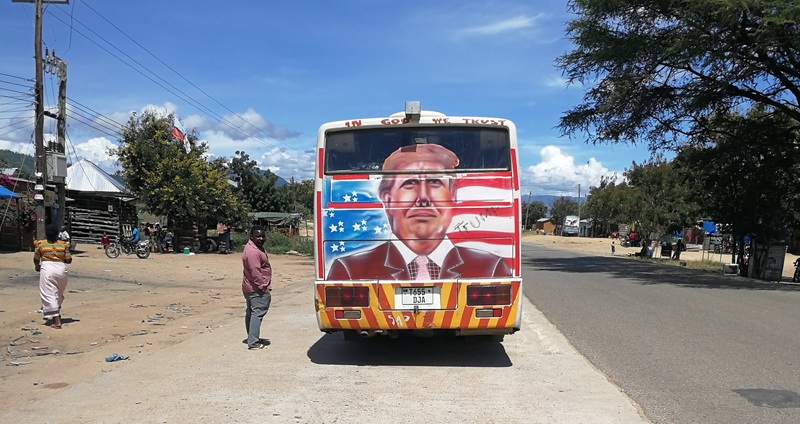 One thing that is always entertaining in Kenya/Tanzania is the art on busses. The majority refers to religion in some way. “God is able”;”allah akbar”… Others refer to music stars, but everything goes really. This bus apperently promotes a Tanzania first policy. Along the way south I stayed in guest houses and camped wild. 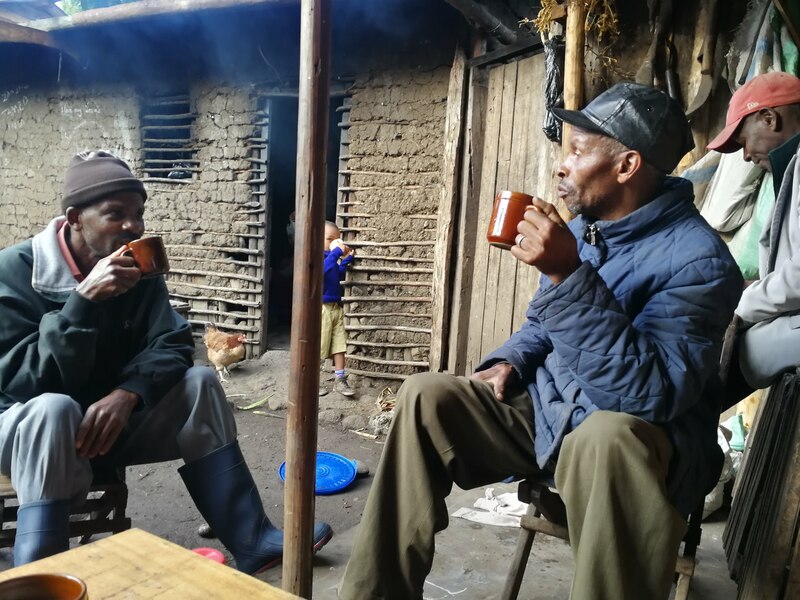 In one lodge I met Elias, a business man from Dar-es-salaam. He is the chairman of Mbeya prisons football club. He invited me to stay at his house in Mbeya and attend a football game of Mbeya prisons. Elias is one of the most well read people I’ve met in my life. Generally I have the impression that Africans are either very well informed about the world or not at all. I only meet these two extremes. Some people know all about Belgian foreign policy since the second world war, others think the US dollar is the official currency in Europe. Knowledge and education, as is the case with wealth, tend to be unevenly distributed. 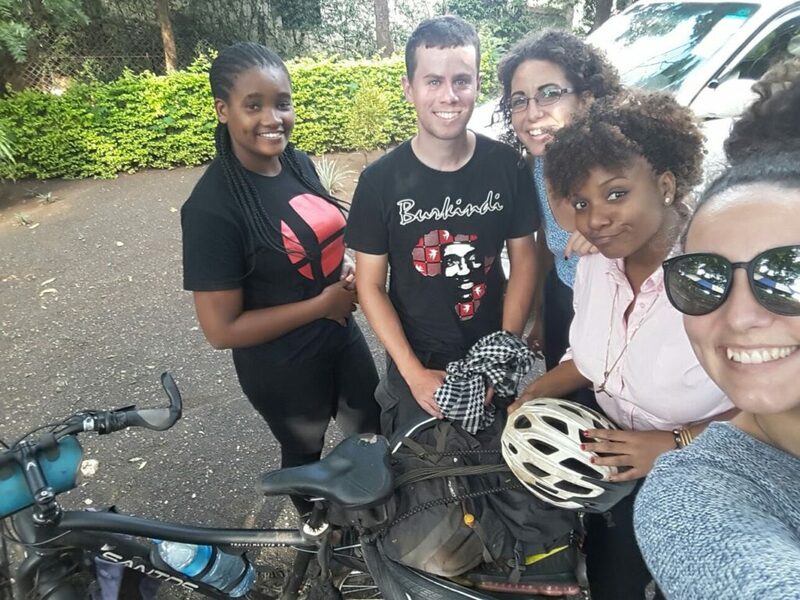 After two days at Elias his place/office, Elias received a call and had to fly to Dar-es-salaam for urgent business. 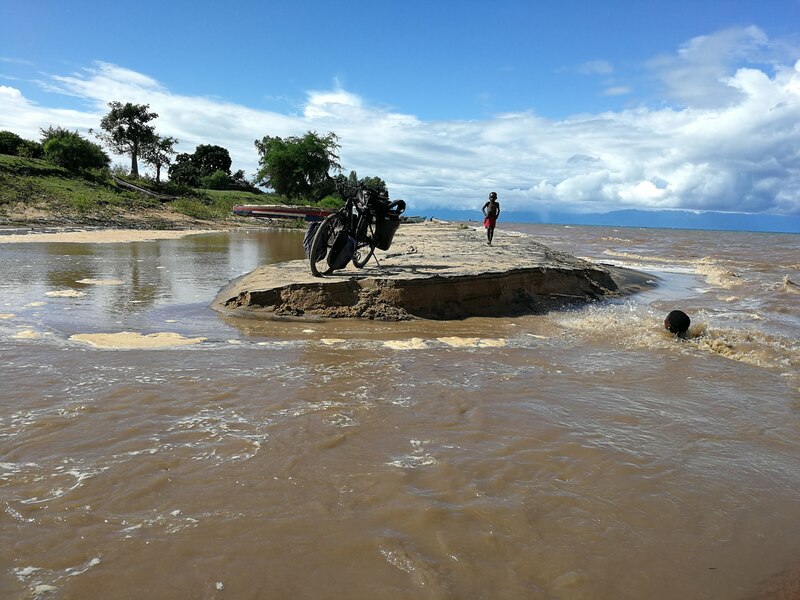 Meanwhile I headed to the Malawian border, and started to ride along the northern tip of Lake Malawi. 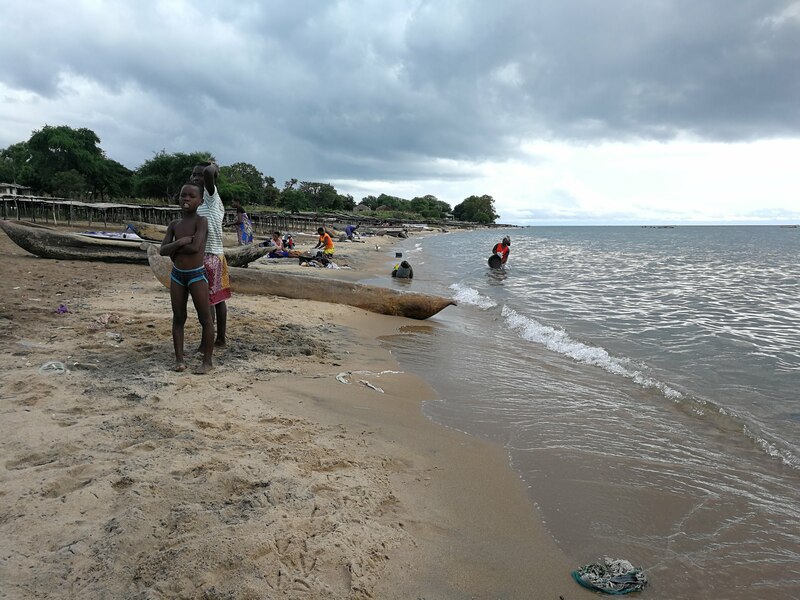 Malawi is a magical place, and the lake is stunning. During the weeks covered in this post, it rained almost daily. Some of the small streams that flow into the lake flooded the dirt roads around it. I had to carry my bike multiple times. My clothes were soaked despite these efforts. 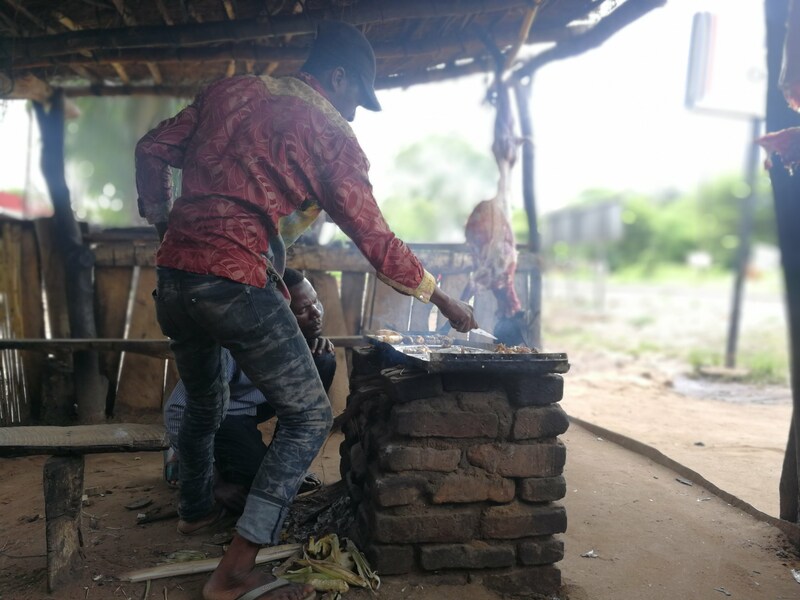 Street food in Malawi is limited to chips and fried goat meat. There are specially equiped food stalls on every corner. The frying pan is heated by wood fire. 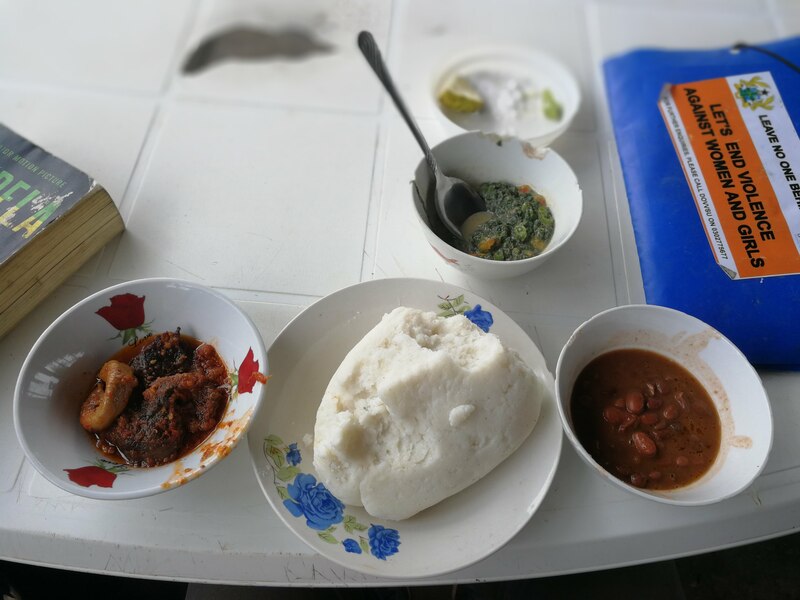 In restaurants “sima” (also referred to as “ugali” in Tanzania) is always served. It is a dish made of maize flour, cooked in boiling water to a stiff dough-like consistency and served with salad. I like it best with fish from the lake. Along the lake there are fishing communities. 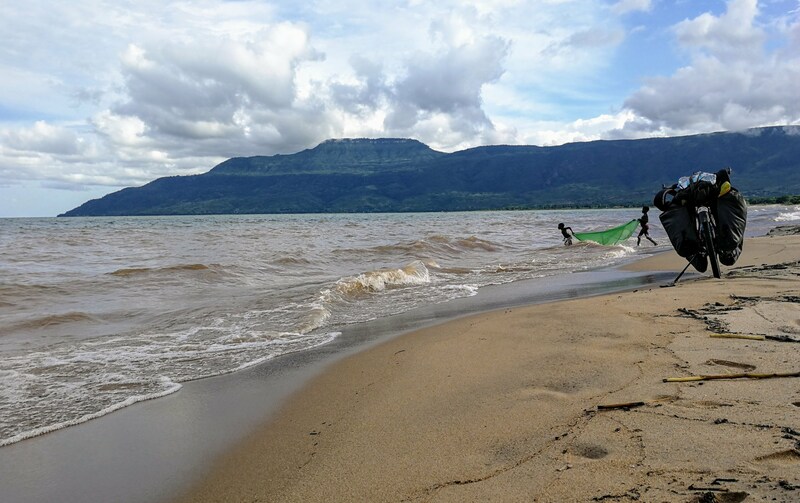 Children with nets on the beach, and men in small fishing boats, are everywhere. I camped by the lake twice. It’s quite a challenge to find a suitable spot that is safe and out of sight. But it is worth it. During the night the small lights of fishing prows move on the water, and the sun rises out of the lake at 5:20am. 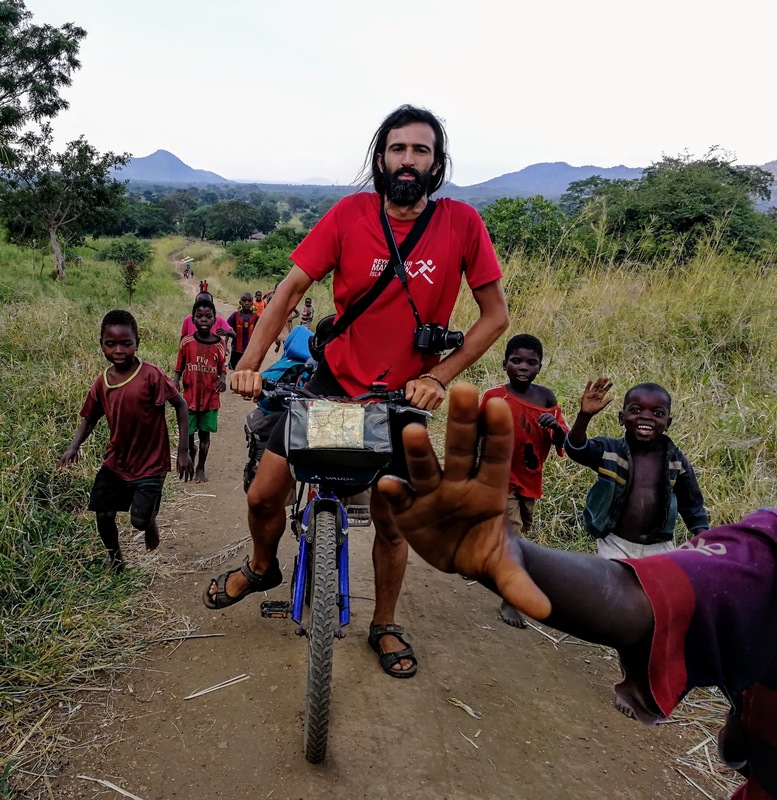 Halfway down Lake Malawi I ran into a flamboyant Italian, who resembles Jesus Christ, called Alessandro. 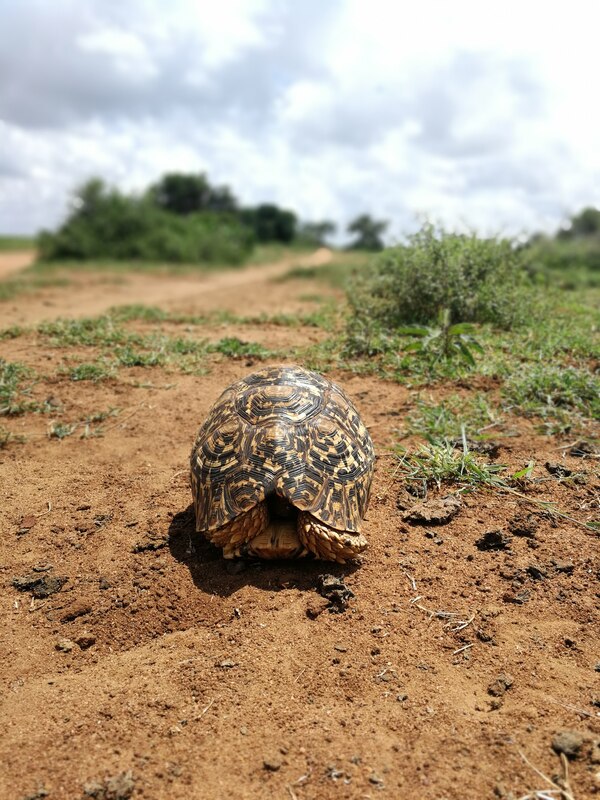 He is also on his way to Cape Town, and started from Dar-es-salaam. Alessandro and I have so much in common that it is almost creepy. We’re both left handed marathon runners. 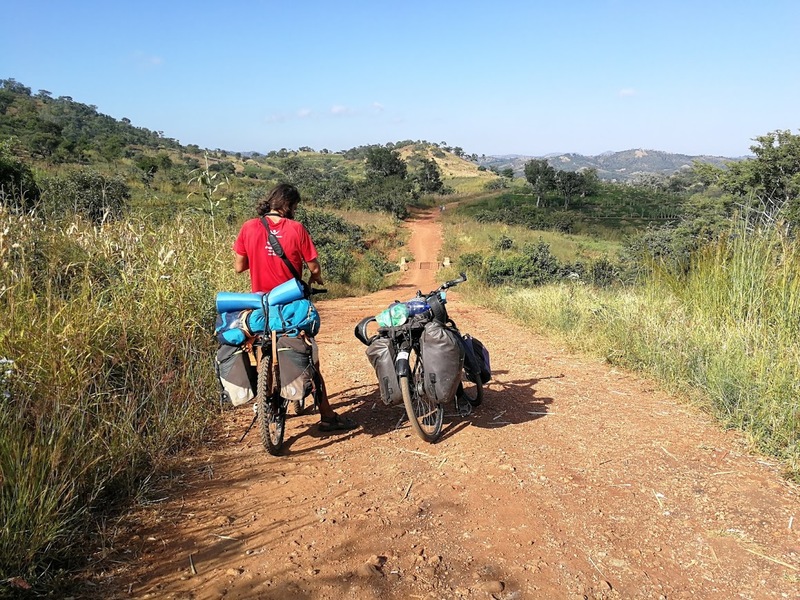 We both belong to the 2÷ of people who prefer Ubuntu as operating system for PC, and we’re both cycling across Africa. Alessandro and I are now cycling together. He teaches me about his vegan food, and I show him the art of camping wild. The last two days we cycled away from the lake, and rode on dirt roads towards the capital. Every village along the way seemed fascinated by our passage. Kids ask to take their picture over and over. 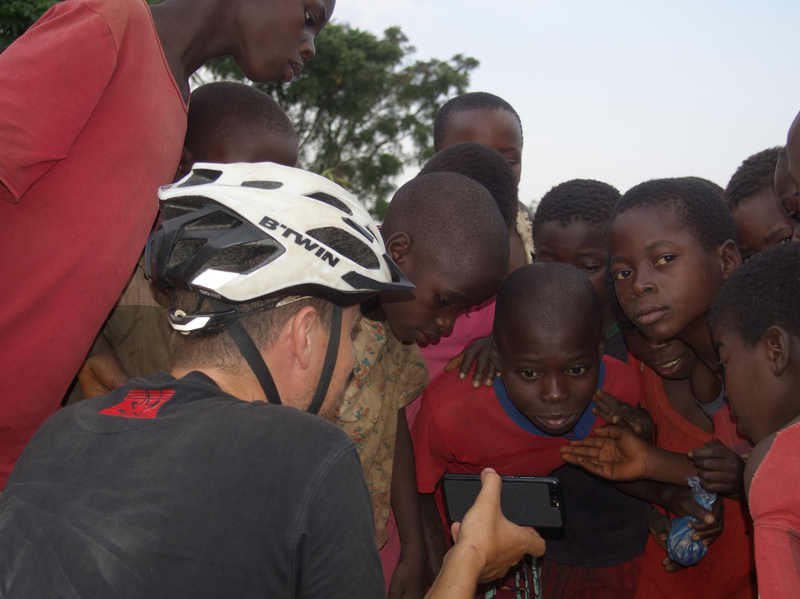 We cycled, and dragged our bikes, through Dedza-Salima forest. We met locals who do this every day, on single speed bikes, to sell potatoes on the market. 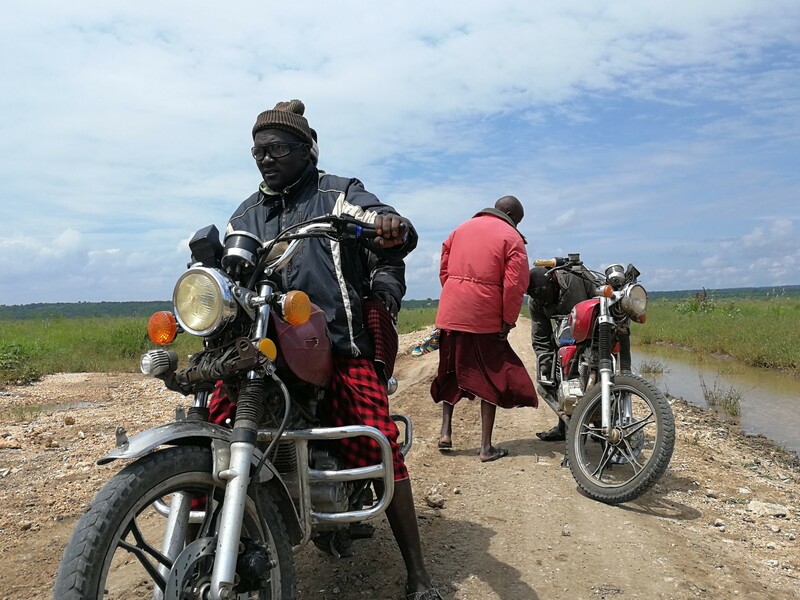 Some of them up to 35km to Salima, and 35km back to their village. After crossing the forest we did another 60km on the main road to Lilongwe. There’s not a lot to say about Lilongwe, it’s a little dead, definitely by African standards. 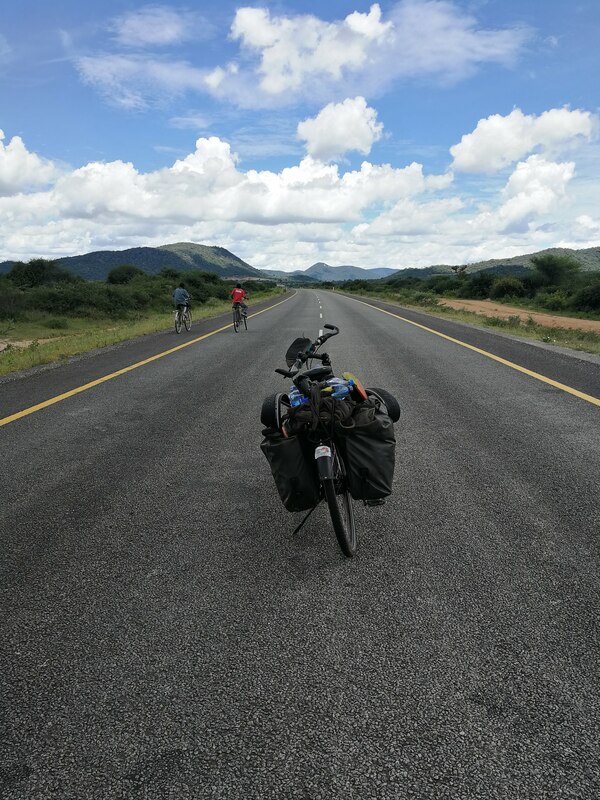 In a few days we’ll cycle towards the Zambian border. I’ll keep you posted! GREAT! fantastic what you do Stijn!!! Amazing pictures and so glad to see you so happy! The pictures of the food make my mouth water… Keep posting such inspiring entries. Amazing trip. 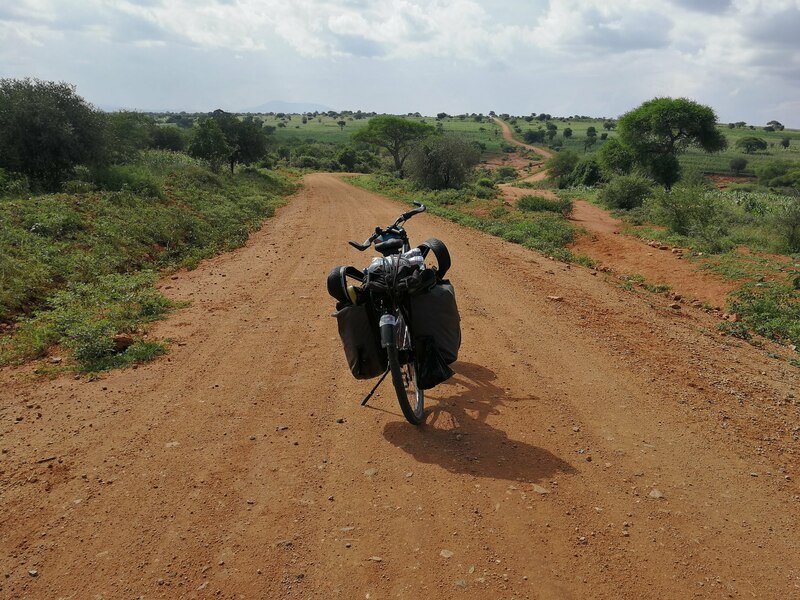 Really impressed 15000 km on a bike across Africa and more to come. We are certain you will enjoy Namibia. Impressive and very diversified landscapes and very quiet as it is the second least populated country in the world after Mongolia. So its really nice you have company now. Looking forward to your next trip report and pictures. Have a save trip. just I was thinking, it’s a while since I heard from Stijn, your #19 came in. 16.000 down, 5.000 to go; “hakuna matata”. Another Ubuntu user! You surely have found your equal out there. Be careful of the lions though… scary. Only 25% more to go…. I cant wait to get your book…with lots of pictures!! Thank you Geo! Haha zal er aan beginnen wanneer de tocht erop zit.